Remember that time Mike & I went to Ireland and I took 1199 pictures (true story) and I said, "I'll get those edited and up so you can see them! I can't wait!" ?!? Today I thought I'd share with you a little sneak peek of Ireland because I'm getting very close to being done with the pictures AND later this week I'm going to have some travel tips for you to check out. I visited Ireland on a travel blogging conference last year. 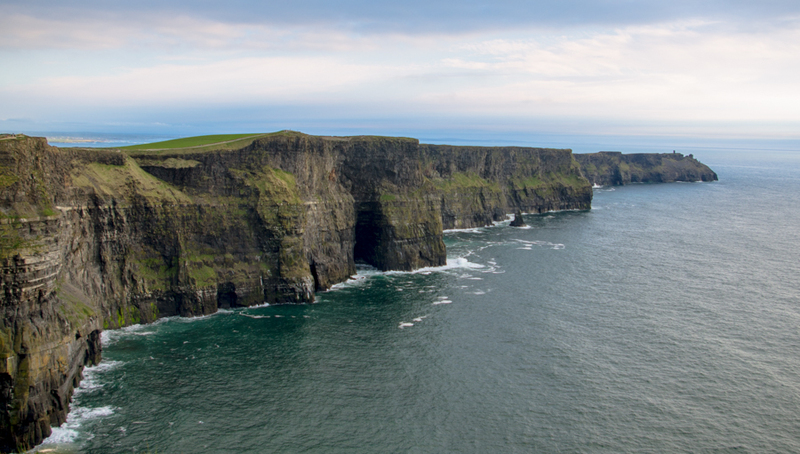 Didn't make it to the Cliffs of Moher but going back in 2015 to hike part of The Wild Atlantic Way so hope to see them. I'm so jealous! I would love to go back but that's not going to happen anytime soon for us. I absolutely loved Ireland. I don't think I had a favorite part because everything was just so beautiful. I hope you have a great time next year!